Products can be used in power plants, substations, petrochemical, metallurgy, underground engineering, material warehouse, as Industril and civil buildings and other important places of the fire control project. (1) This product can be installed at all times to carry out the work of a sense of temperature measurement. Work report to the police through the end of the cable interface code will be caded signals to cnrol the fire and the other Zhongduan. He was teminated when Ambient temperature reaching pre-detrminde value, the two current-carrying conductor between the thermal insulateon melted, 2 wires short-circuit, interface code to accept the short-circuitsignal controller to report to the police. 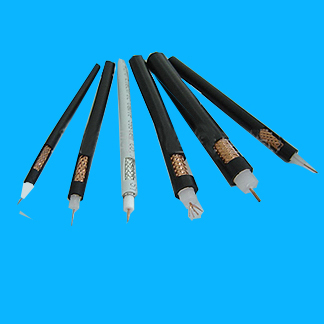 (2) Temperature and fire alarm cables can be applied to the emgineering requirements of the special circumstances(such as humidity and dust more easily, such as corrosion harsh environment),has strong anti-interference capability. (3) The area of surveyllnce products, indirectly showed that the specific locateon of the fire, fire doors automatically linked and fire-fighting equipment to prevent the fire from spreading. (4) The product has a low-power, high-precision signal acquisition, alarm controller functions transform trans form the structure of flexible ,programmable Control outsie contact more and so on.